In their first debate Friday night, Wisconsin Governor Scott Walker turned the question of raising the minimum wage in Wisconsin to the issue of jobs. 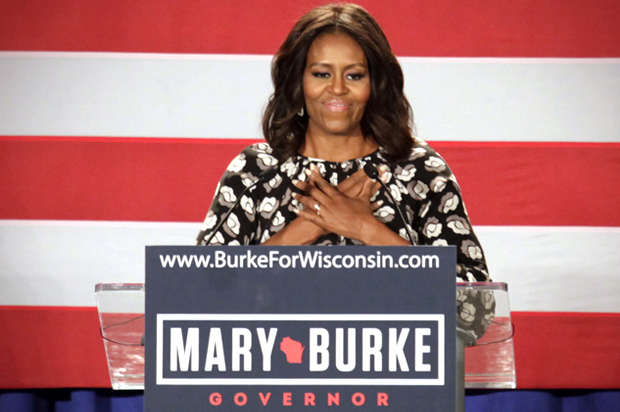 Mary Burke, the Democratic challenger, strongly supports raising the minimum wage in Wisconsin from its current $7.25 an hour to $10.10 an hour. The true significance of the minimum wage as a matter social justice to human beings can be found in the fact that presently, a Wisconsin worker making as high as $11.36 an hour is still flirting at the poverty line. From that perspective, Walker’s refusal to address the issue head on and especially to refuse to support raising the minimum wage is unjust and troubling. Governor Walker asserted that the typical profile of minimum wage workers in the State, and what ought to be natural for them were like when he got his first job at McDonalds. But the average age of those stuck at the minimum wage, inadequate to support a family properly, is 30, and not the teenage picture most white suburbanites typically have in their heads. Even on the jobs issue he wished to address Friday, it must be said plainly that the Walker Administration’s promise to create 250,000 new jobs in the first four years will fall short of what in 2010 was the centerpiece of his entire campaign. The current job growth for Wisconsin is something approaching 144,000 jobs. Wisconsin lost 3,400 jobs according to the monthly August numbers. Lest anyone think it is merely setting an unrealistic goal and failing to meet it, that 250 thousand job figure was derived from the projected forward growth continuing at the very same pace that it was under Governor Doyle four years ago, much closer to the great recession that every middle class American knows was, and for too many remains a depression. Think about it: Walker promised 250,000 jobs, which would be just the status quo ante for the next four years. The Walker Administration failed to even maintain what was weak job growth to begin with back in 2010. Mary Burke and Scott Walker have sparred over just how much Wisconsin is lagging behind other Midwest States in the old Rust Belt when it comes to new jobs. Generally, the critique Burke and Democrats have been offering on the Governor’s failing to bring enough new jobs to the State comparable to those of other comparable States is accurate, and damming. There can be no other overriding issue for single parent families where the mom or dad has to work a minimum wage job—often two jobs, just to hit the poverty level, or to fall just below it. Raising the minimum wage, and providing good paying—family supporting jobs to Wisconsin are both paramount for the larger health, and well-being of Wisconsin adult workers and the families they struggle so mightily to support. Walker has been a spectacular failure on both counts. 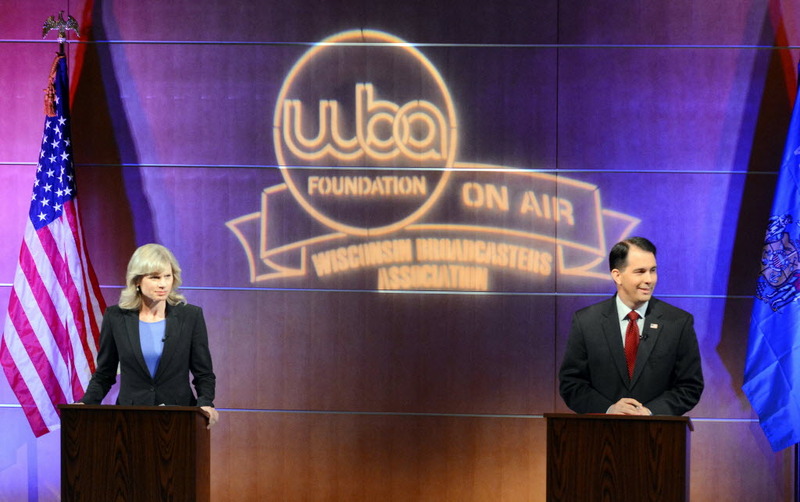 Mary Burke’s candidacy deserves support as at least she is anxious to raise the minimum wage in Wisconsin, and to offer new approaches, wherever they were derived from, to bringing more good paying jobs to the State. The polling indicates a very tight race that has continually fallen within the typical error factor of all the polls. Every single vote for Scott Walker is an endorsement for what we have already had the past four years. Wisconsin families will have to consider that in deciding how they cast their votes this November. The suppression of the votes of students, the elderly, people of color, the poor, and oppressed, will not take place this November. Wisconsin’s new discriminatory Voter ID law has been blocked by Federal Court action. So know that if you are determined to make your voice heard where it counts the most—at the ballot box, it will not pose any additional obstacles in this election. How much money a supporter of a family can earn each hour, and how many jobs, and the number of higher quality new jobs, along with training to be able to realize coming opportunities is directly a matter of social justice. It is a struggle for justice in the here-and-now. Higher than usual turnout for this governor’s race by Democrats would virtually ensure Burke’s election. Now think on this: why is it that so many Democrats, liberals or progressives tend to sit out these off-year elections? Just as in 2010, we are faced with two dramatically different means and outcomes. So just pretend we’re going to elect a President as well and show up and cast your vote. There are more of us, than there are of them. Hence, the whole point of Republicans launching legislation and passing it into law, only to see its implementation blocked by Federal court action. This entry was posted in Community and Citizen Action, It's About Struggles for Justice, The State of Labor and tagged Governor Walker, Job Growth in Wisconsin, Mary Burke, Minimum Wage, Scott Walker, Social Justice, supporting families, Voter ID, Voter Supression, Voter Turnout, Walker. Bookmark the permalink.